Eco-tours $5795 USD • Taxes Included! Welcome to North America’s Original Tugboat Cruise. 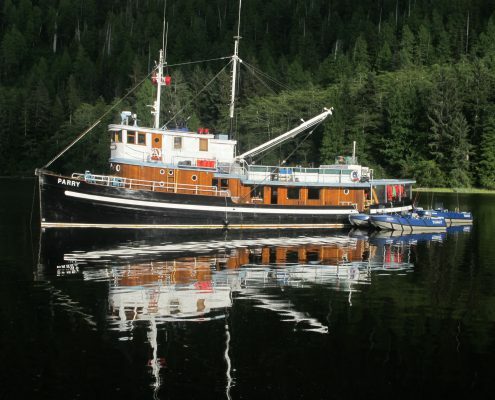 This is a one week wilderness fishing and luxury cruising adventure aboard a 1941 vintage tugboat with only 12 guests. 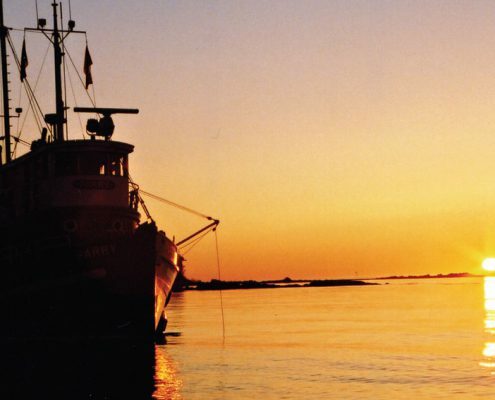 Pacific Tugboat pioneered the concept of “Follow the Fish” and cruises every day to enjoy world class salmon and halibut fishing on British Columbia’s beautiful Inside Passage. Majestic fjords with calm water, velvet forests, waterfalls, whales, eagles, bears and wolves offer a true paradise for nature lovers. Guests are pampered by a dedicated and friendly crew with tantalizing meals, fine wines and all the comforts of home. Each two guests share a private stateroom and have the use of their own 18 ft. catamaran skiff. Professional guides take care of keeping you on the fish while your captain’s itinerary is set to enjoy the bounties of this infamous coast including wildlife excursions, clam digging, Dungeness crab, wilderness hikes, historical sights and secluded beaches. 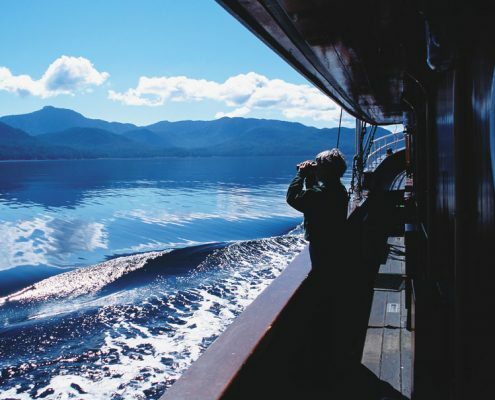 Step aboard for unbeatable scenery, wildlife and fishing on a legendary tugboat adventure. Our 1941 heritage wooden Tugboat, the MV Parry is lovingly maintained and beautifully appointed with comfortable two berth cabins, fireside lounge, spotless bathrooms and showers plus a busy galley serving unbelievable food and desserts.